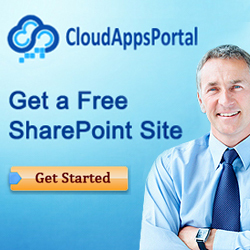 Monitor and build websites, maintain databases access your SharePoint/Exchange clients on demand with a virtual desktop accessible remotely from your preferred mobile device using CloudDesktopOnline.com. Learn about virtual servers for your organization by visiting Apps4Rent – Hosted Exchange, SharePoint, Virtual Desktop experts. A small version of your logo – preferably no taller than 60 pixels. Use a transparent background when possible, so the image looks great under multiple site color themes. A URL location to this logo – either by uploading it to a document library, an external site, or the “14 hive” on the file system. If you select the file system within the “14 hive” (C:\Program Files\Common Files\Microsoft Shared\Web Server Extensions\14\TEMPLATE\IMAGES), then you will need to copy the image to this location on each front-end web server in the SharePoint farm. Some site templates provide quick access to the icon settings page, like the image here. However, we’ll navigate to this page from Site Settings so you can apply this from any template. **NOTE** If you added the image to the “14 hive” on the file system, then the URL location would be “/_layouts/images/yourlogo.gif” (without quotes). Click Ok and you will be taken back to the Site Settings page where you should now see your logo displayed in the top of the site! I’m not sure I follow you. If you set the new logo URL under “Title, description, and icon”, then the logo will show on the main site, any new page you add, and any new site you create under that site collection. When adding the new logo, make sure to do “Click here to test” to see if your image properly displays in a new window. 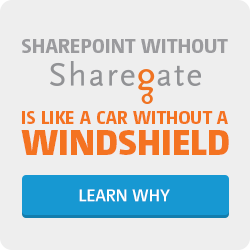 If your link is invalid, then perhaps SharePoint defaults back to the original logo. I’m having the same problem as Anjali. I am able to successfully change the logo as described in this article. However, it only appears on the home page, settings, libraries, etc. I’m having the same issue. I can change the Logo/URL under Site Settings>Title, Description, and Icon. This works for the Site and any Links to document libraries, etc. But when I click on a link to a Web Page, the Navigation goes back to the generic Out of Box Logo in the Upper Left hand side. Anyone have any ideas where this is changed or set. Is this in the template used for the page. I’m using a web part page. My question is, even though the logo displays throughout the pages, why does it not display on the site settings page? When i go to site settings it always shows the image as a red X as if the image has an error. You change the image on Web Part pages by editing the page and clicking “Title Bar Properties” on the Page tab. Once the properties bar loads on the right, add the URL to your site logo under Image Link. I understand this is an unfortunate extra manual step, but at least it will get the desired logo on the page. You can use “Publishing page” and in the types you need to select”Blank web part page”. This way it will show exactly the same logo and look and feel of the site. hi for me this change icon thing works even its also applicable for subpages of the site. it works for me simply………. Alex, that would require editing the page via SharePoint Designer 2010 – as that is not something you can do out-of-the-box. Thank you very much any way! 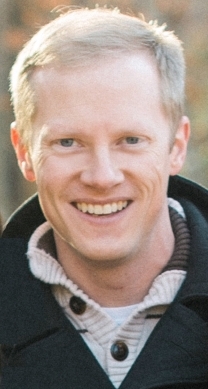 Use PowerShell – SharePoint 2010 Management Shell as follows. 1. Upload the graphic — say KRES-icon.gif — to a library at the site collection level, e.g. Site Collection Images. A Url like /SiteCollectionImages/KRES-icon.gif will now work within the context of any subsite in that site collection. 2. Logged in to the SharePoint server as the Farm account (must have enough perms to run SharePoint 2010 Management Shell): Start – Microsoft SharePoint 2010 Products –> SharePoint 2010 Management Shell. Even you can go to siteactions–sitesettings—(under look and feel) open “title logo and icon” and give the url of the logo location and it will show up on the site as the logo. If you want to use the same logo for all the sites , you need to change the logo image in 14 th hive. is it necessary that farm shud be in up state to rest the passphrase key? Yes. The farm needs to be online to reset the passphrase. Is there an out of the box method for changing the link of the logo? It looks like the default behavior takes a user to the root of the site or sub-site. Can we change this so that it takes us to the root site always? I think I mean the top of all site collections – sorry if I’m getting the term wrong. Yes and that would involve creating a custom master page. When you do this, you can specify the URL for the image so that wherever the user is they can always click the logo and be taken to the top level root site. I added the image to the 14 hive and all of my sites and site collections now display the logo correctly. I had to move a couple of sites/site collections and did this by exporting and importing them. everything worked except I have one site that shows the logo as a broken image even though I am using the same custom masterpage as all the rest. this is the only site that is behaving this way. All other content is fine, just the logo. Try going into the Site Actions > Site Settings > Title, Description and Icon under Look and Feel and see if the Logo URL is set. If so, clear it out and see if that works. If not, then right click on the broken site logo image and see/verify the URL it is looking for. That seems to have fixed it. For some reason it had a url pointing to the image in the site assets library. even though the image is there as well, it was showing broken. Clearing out the URL fixed the problem. Excellent! Glad that worked for you. No problem, anytime! Thanks for coming to my site. Help! have followed everyones suggestions, but I just get a little box with a red cross in it. When i click on test, it comes up – but doesn’t follow through to the page. Is my logo too big? Paste the URL you are using to your logo in a seperate browser window and make sure it shows the picture. If it doesn’t, then you have a bad link to the picture. If it does, then yes it may be too big or an improper format. Thanks Adam – a lot of fluffing around, but have finally got it sorted! What about the option for saving the image in the Shared Document Section. How do you point to that image. I need admin rights to get to the 14…. folder and don’t have it. That is fine, you can do that. Just grab the full URL to the image that is stored in Shared Documents and paste it in the Logo URL field. Make sure that your users have read access to this image in the library though or else they won’t be able to see it.